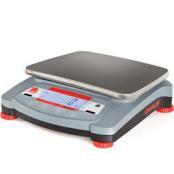 Bench scales actually refers to a wide range of products. Bench Scales, many of which are portable systems. Also, some of the scale systems below feature a configuration where the platform is separated from the weighing indicator via a cord 5 feet or more in length. The weighing capacities range from 2 lb to 2000 lbs. Some models feature a stainless steel platform, while others are washdown scales; perfect for the food or restaurant marketplace. Applications also include general shipping. If you are looking to buy and sell based on weight, be sure to look for scales that are Legal For Trade, NTEP approved. 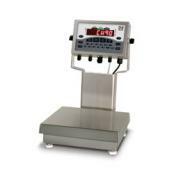 From shipping and receiving, food and chemical processing, industrial processing, kit assembly operations, general filling operations or general purpose weighing -- Central Carolina Scale has a line of bench scales that withstands punishment and still provides the accuracy you need. Many of these bench scales can go from carton to countertop with little effort, and all operations are easy to control. Some of our scales are even resistant to damage by knife point. Ask for NEMA 4X stainless steel enclosure to protect indicator electronics from frequent washdown. For added convenience, some indicators is available with a 12" column, base attachment bracket, or tilt stand for mounting to a table, wall or under a counter. The BenchMark™ Series bench scale includes NTEP certified, stainless steel, and shock-absorbing models for light- to high-capacity applications. The SL series has a unique and rugged LifeGuard™ platform suspension, protecting the load cell from damage incurred by shock and excessive loads. Ideal for food processing environments, the 304 stainless steel construction is easily maintained. 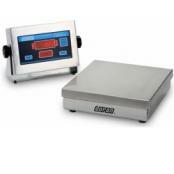 Bench Scales - Food & RestaurantFood Scales are used in many applications involving bakeries and restaurants. You can find items like Baker Dough Scales, Deli Scales, Hanging Scales, Ingredient Scales, Portable Scales, Portion Control Scales, Price Computing Scales, Top Loading Dial Scales. Bench Scales - NTEP Legal for TradeNTEP legal for trade bench scales have a certificate of conformance. The NTEP Certified Legal For Trade scales provide the highest possible accuracy when weight is a critical factor. We have many legal for trade scales available from various suppliers. 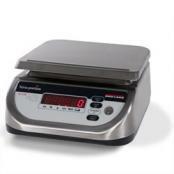 Bench Scales - Portion ControlCompact bench scales are all-in-one portion control devices with an indicator built right into the scale. Economically priced compact units offer low to mid-range operation for simple weighing needs. Bench Scales - Stainless Steel Washdown SafeWe have several stainless steel bench scale models that are designed to withstand the rigors of frequent moisture contact and industrial cleaning processes. Of course it's fair to say that we use the phrase bench scales to describe quite a few different types of scales... many of which you probably wouldn't use on a bench or counter top but nevertheless that's the category that many of these scales fall under. For example, the Doran MVP series could almost be classified as a small floor scale, especially if you've ever seen this scale up close. It's an impressive weighing platform. If you're in the market for this type of scale, our suggestion to you is to simply browse our site and write down a few scale brands and model numbers that you're interested in and then contact us for product reviews and our recommendations. We provide honest assessments and recommendations based on our thirty year plus history of selling and servicing scales. If you're looking for Made in the USA quality we have that available. Likewise, if you're looking for scales imported from China, we have those available as well.